The Lake Forest Police Foundation purchased 22 Zoll AED (Automated External Defibrillator) Plus Machines. 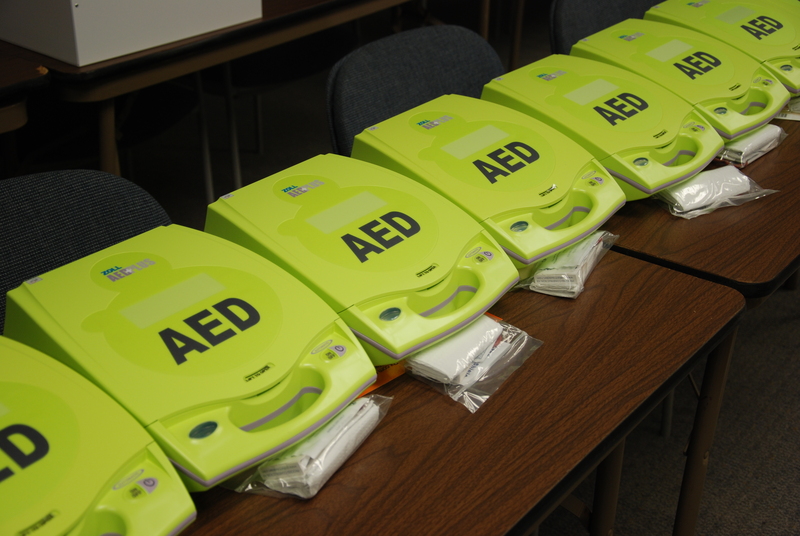 The units replaced 11-year-old AEDs and were purchased with money that was raised from private donors. The new AEDs have been put in service in our officers’ squad cars, the Public Safety Building, and one was placed in Lake Forest’s City Hall. A defibrillator is a lightweight, portable device that delivers an electric shock through the chest to the heart. When trained personnel use an AED and administer CPR within the first few minutes of a cardiac episode, it dramatically increases the chance that a patient will survive.